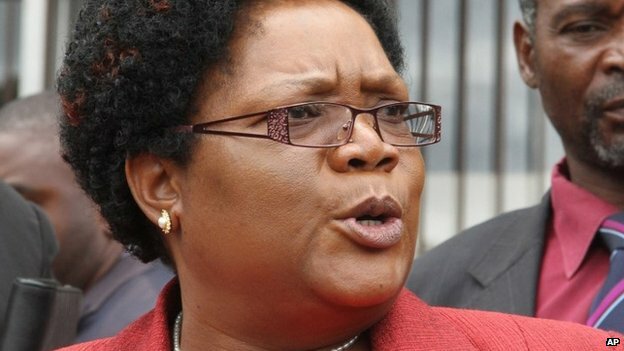 FORMER Vice-President Joice Mujuru’s National People’s Party (NPP) yesterday suffered a major setback, as several top officials in Matabeleland South quit the opposition movement citing tribalism and factionalism. The NPP’s former Matabeleland South interim chairperson, Bekezela Maduma Fuzwayo and several others wrote to the provincial executive yesterday announcing their resignation, a move set to weaken the party’s bargaining power in coalition talks with other opposition parties. Sources said Fuzwayo and others cited tribalism as the major reason for their resignation. In his resignation letter, Fuzwayo said he was retiring from active politics with immediate effect although party sources claimed the defections were triggered by high levels of factionalism and tribalism. “Please allow me to announce my immediate retirement from active politics, as I need to concentrate on my studies,” he said. “I have since communicated this arrangement to my ward, constituency and provincial leadership and hope they will communicate the same to higher authorities if need be. “It has been a wonderful experience being with the NPP and being within its structures in the short time that we have been together. The development comes less than a fortnight after Mujuru dissolved the party’s Bulawayo provincial structures due to factionalism and tribalism arising from the April provincial elections. NPP spokesperson, Methuseli Moyo confirmed Fuzwayo and several others’ resignation from the opposition party yesterday. “To be honest, we expected this to come given the internal dynamics in the party. I don’t want to say we welcome their departure, but we are not sad at all that they left,” he said. Moyo said NPP will emerge stronger after the resignation of Fuzwayo and others, whom he accused of fanning factionalism. “Believe me, NPP has just become a stronger and healthier party, with some of these purported resignations,” he said.